Mango season has begun and as is always the case when the raw mangoes hit the markets, the pickling and preserving recipes are put to use and practically every household is busy making something or the other with raw mangoes. I too have joined the mass of mango maniacs and I made one of the most simple raw mango preparations across the board. 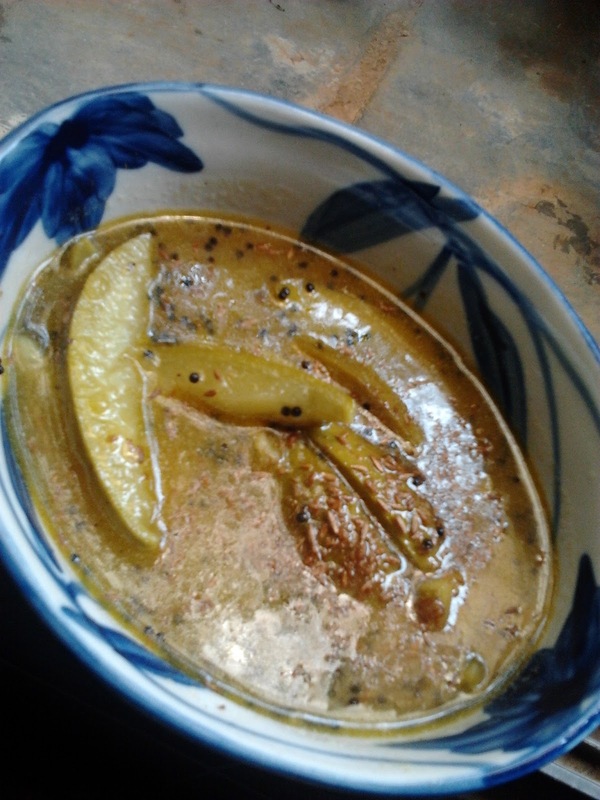 Aamer Chatney is a thin sweet stew of raw mangoes, sugar, mustard and ground cumin. 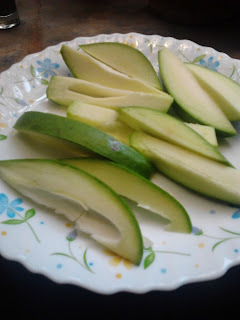 The more sour the mangoes the more delicious this simple preparation turns out. Wash the mango and slice it thick. Discard the seed. 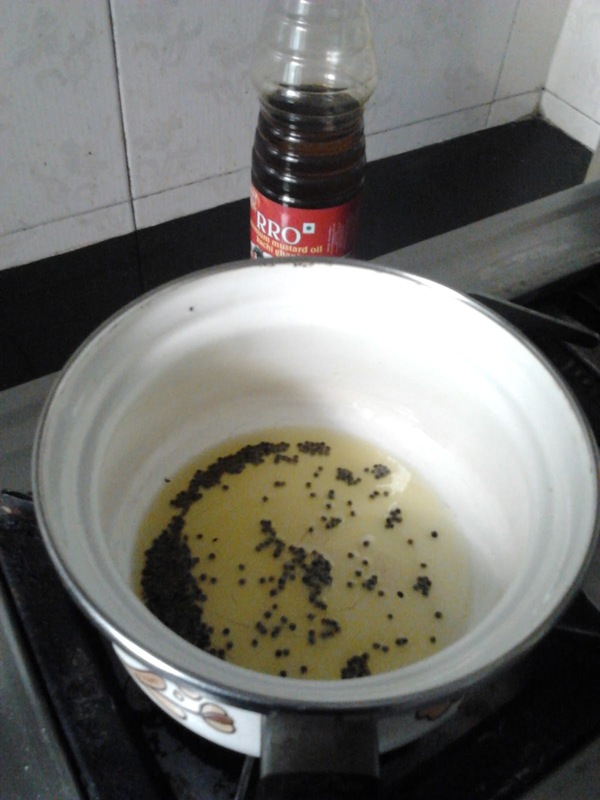 Heat the mustard oil in a saucepan or kadai. Once it's nice and hot throw in the mustard seeds. Once the exuberance of the spluttering seeds has quietened, add in the sliced mango pieces. Lower the heat and fry gently for a good 5 minutes. The mango will begin to soften and will also darken around the edges. Add a pinch of salt too. Pour in the water and let the mango cook for a bit. You can let it completely turn to mush or you can leave it still intact with a bit of bite, like I prefer. Once the water has come to a boil sprinkle in the sugar and give it a gentle stir. Let it simmer. 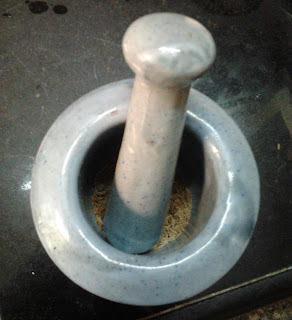 In the mean time broil a teaspoon of jeera or Cumin seeds and pound them in a mortar and pestle. Pour the chatney into a pretty bowl and sprinkle the pounded jeera on top. Enjoy this hot or cold at the end of your meal. It's especially divine after a rice/daal/subzi lunch on a hot afternoon. There are many variations to this recipe, each different in each household. 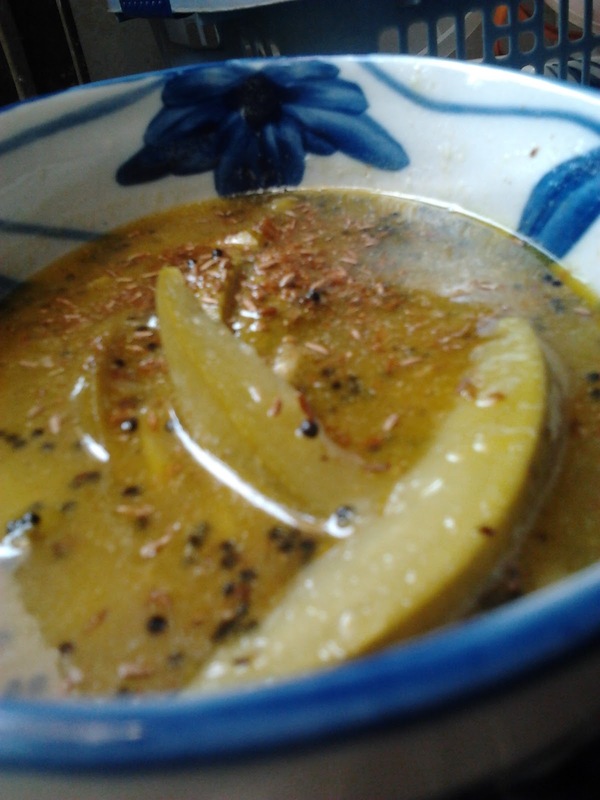 My Mum's recipe (from her mum) is frugally simple, letting the mango be the star of the show with the pounded fresh jeera giving it a nice punch of extra flavour. Yumm! 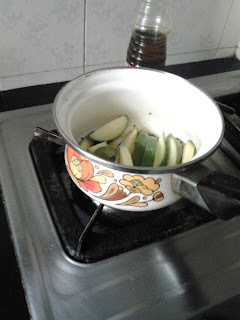 I have a bad habit of adding fennel and crushed ginger to every chutney. need to get rid of it soon!